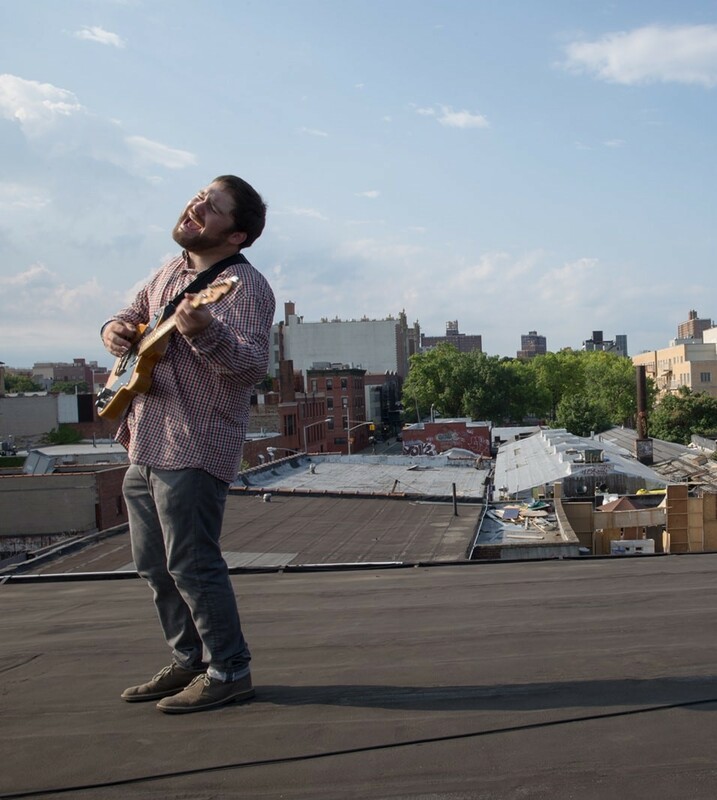 Great songwriting and performances have lit up the skyline of New York City singer songwriter David Pollack’s life and career. From an early age, he was turned on to the music of Paul Simon, James Taylor, and The Beatles. Places like the Meadowlands were his playground, where his father took him to see greats like Bruce Springsteen perform. By the time Pollack reached the age of 12, he picked up his first guitar. By then, he was exploring the sounds of post punk and indie rock from artists such as Weezer, Death Cab for Cutie, and Modest Mouse. He spent his summers in such institutions as Bucks Rock Creative Arts Camp and the Berklee School of Music summer program, as well as working in internships with Rough Magic Studios and music promotions firm Creative Entertainment Group. In high school, Pollack formed a band called Play that took the local scene by storm. At 16, he recorded his first EP after winning a free recording session from a JCC Battle of the Bands. Play went on to perform at well-known venues like The Knitting Factory, CBGB’s, and Sullivan Hall. After high school, Pollack enrolled at the University of Vermont, where he was a member of the Jazz Vocal Ensemble and the UVM Top Cats Acapella group. A year later, he decided to move back to New York City, where he would record an EP of lo-fi tracks entitled Out the Other Side. He spent several months touring in support of the album until he transferred to Fordham University. While studying media and communications, Pollack began working at Public Radio station WFUV alongside Dennis Elsas and Rita Houston. During his time at Fordham in 2010, Pollack formed a band called Bridges with drummer Steele Kratt and bassist Sasha Korolkoff. Bridges would later be joined by new members Julia Barrett Mitchell, Nick Jenkins, and guitarist Daisy Spencer (who would later go on to play in the band The Skins.) While together, Bridges released a self-titled EP followed by another titled Groundwork, both in 2011, and played shows for audiences throughout greater New York. David Pollack went solo after Bridges disbanded in 2012. He went back into the studio in September, working with Producer and Engineer Oliver Ignatius at Mama Coco’s Funky Kitchen. and released two singles (What Do I Do?, Hot Love). In addition to releasing tracks from the Mama Coco’s sessions, Pollack worked with producers Gian Stone at Stone Studios, Rick Torres at Buskerville Studios in Queens and Gordon Grady (Lady GaGa, Alicia Keys) to create his debut full length "Put It Into Words." The record was mixed and mastered by Grammy-winner Jon D’Uva (Louis CK, Breaking Benjamin, Paramore) and released in January of 2014. Pollack is currently touring to support the record.